The Blog » One Day Sale!! I am so excited about the release of Vol. 3 of Twelfth Year magazine that I am having a One Day Sale! 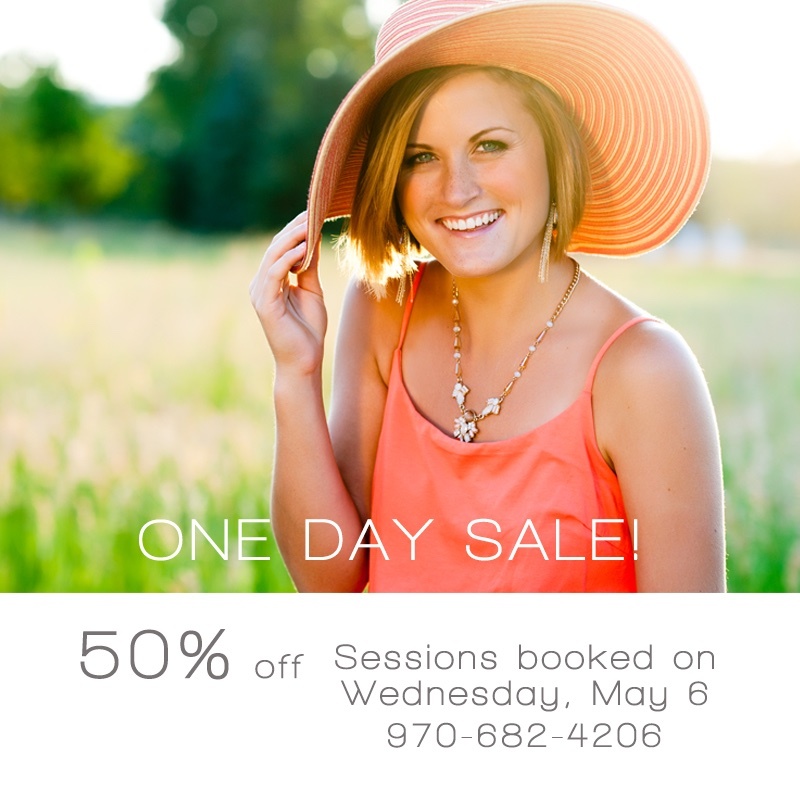 For the first time, I am offering 50% off session fees for any session booked on Wednesday, May 6. This is for just one day - the day following our Reveal Party for the release of the latest edition of Twelfth Year magazine - and applies to all sessions - family sessions, child sessions, teen sessions and senior sessions! The only exclusion is Extended Family Sessions. So, if you or someone you know is thinking of booking a Summer or Fall session this year, mark your calendar for May 6! Contact me now for information and I will send you our 2016 Child and Family or Senior Portrait Guide to help you select the right session. Once you've selected the perfect session, mark your calendar for Wednesday, May 6 so you can call me (970-682-4206) to book and pay for your session. Once your session is paid for, the date is yours! We are currently booking for July through October and I would love to plan something special for you!